*Just* when we thought we were over nail art. 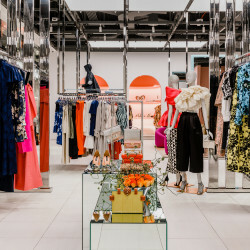 If you’re a huge fan of the holidays, you probably look for every opportunity to express your love for the season, from rocking the ugliest sweaters to creating the most glamorous beauty looks. This likely also includes holiday nail art, because let’s face it—is there a more fun way to embrace December’s festive happenings than with your manicure?! 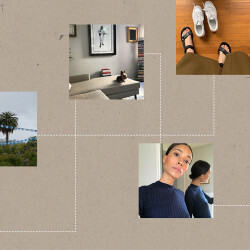 But if you do decide to get a special look for your nails this month, Sarah Gibson Tuttle, founder of Los Angeles’ trendsetting nail salon Olive & June, encourages you to think outside the box. 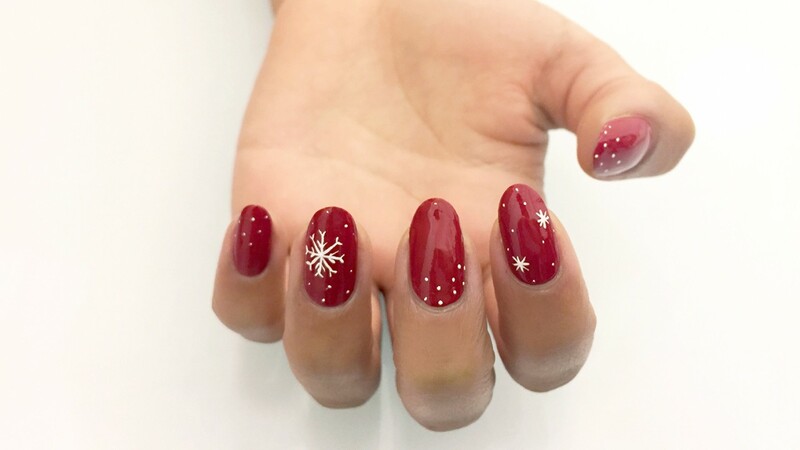 Leave the candy canes, snowmen, and reindeer for the kids, and opt for a more stylish, refined, and, most important, Instagrammable look when you head into the nail salon. There hasn’t been a more exciting time for nail art, which means anything is possible—you no longer have to stick to the traditional flowers and hearts that you’re used to getting. 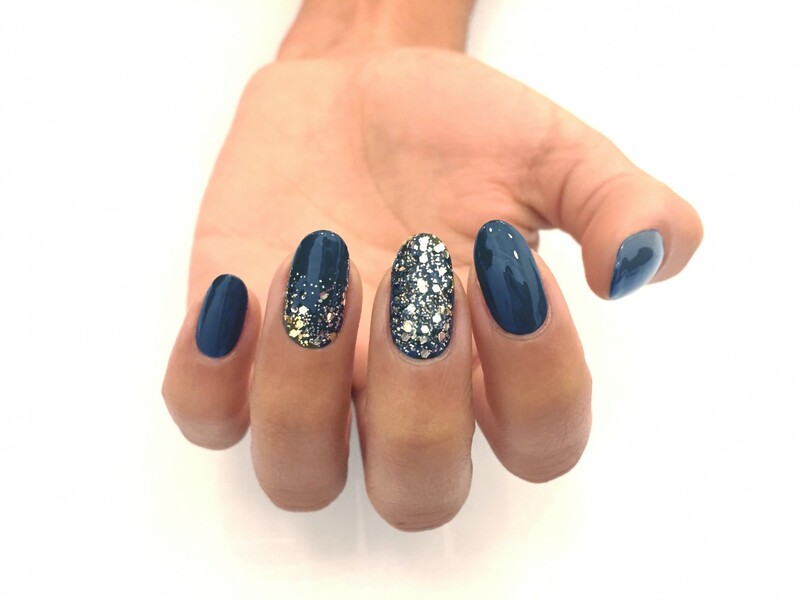 Think unusual shapes, bold accent nails, and tasteful glitter details. 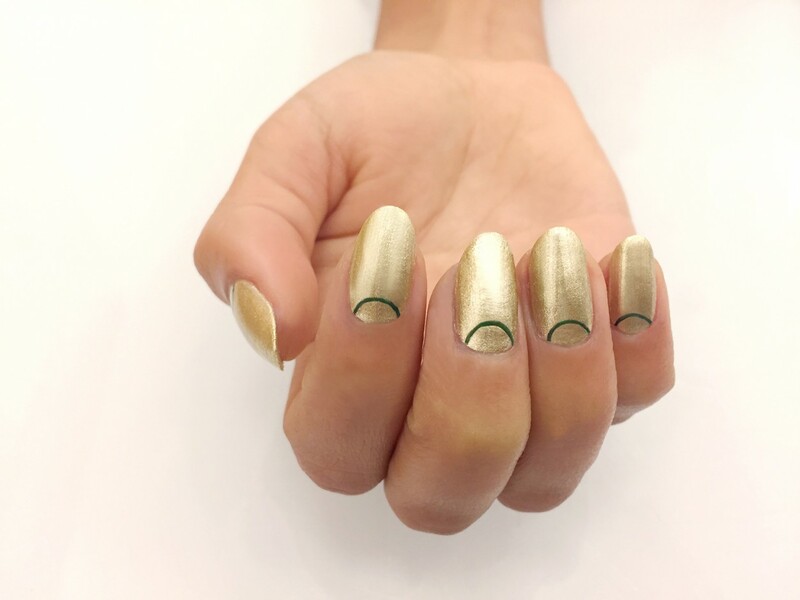 Whether you’re looking for something that screams “merry everything!” or want a look that’s a little more subtle, one thing’s for sure: You won’t be able to stop staring at your nails when you recreate one of these ideas designed by the Olive & June team. Here are seven holiday nail art looks that are anything but boring and cheesy. Step up your stripes game by adding a touch of glitter. “Glitter stripes are a great way to mix it up if you want something subtle but still fun,” Gibson Tuttle tells Bustle. Gibson Tuttle swears that plaid is “the holiday look this season.” The above is just one of the ways Olive & June suggest having fun with the trend. “Half-moons are always a great way to play on the colors of a season,” says Gibson Tuttle. Pick your favorite holiday color combination, and go wild! 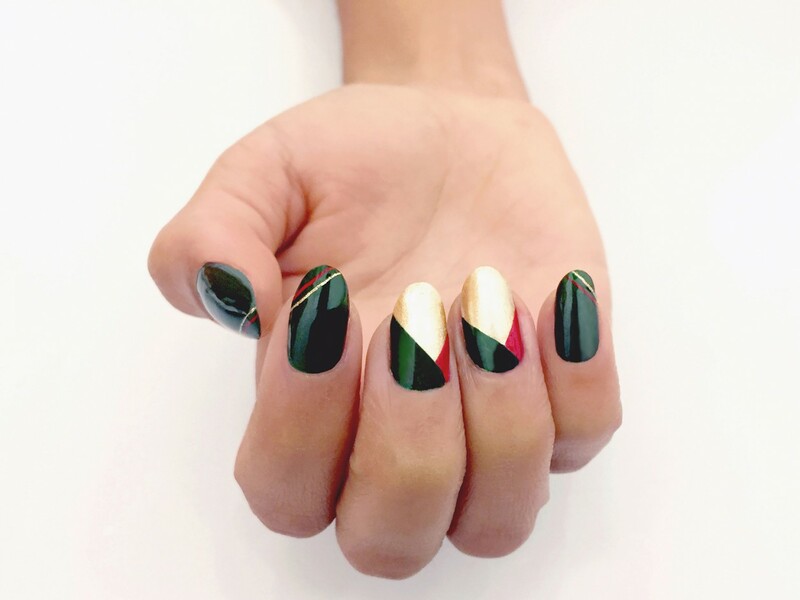 You don’t have to go full-on gingerbread man or snowman to rep the holidays on your nails. “Snowflakes are a classic—even when you live in Southern Cali,” says Gibson Tuttle. If you love keeping your nails clean and classic-looking, but want to add an element of fun, consider a small metallic detail. “We love a small detail, like a metallic accent line, because it feels special and surprising,” says Gibson Tuttle. “Glitter is always a favorite at Olive & June!” exclaims Gibson Tuttle. “It feels so festive, year-round, but especially right now.” Choose a couple of nails to accent instead of wearing glitter on each of your nails for a chic look. 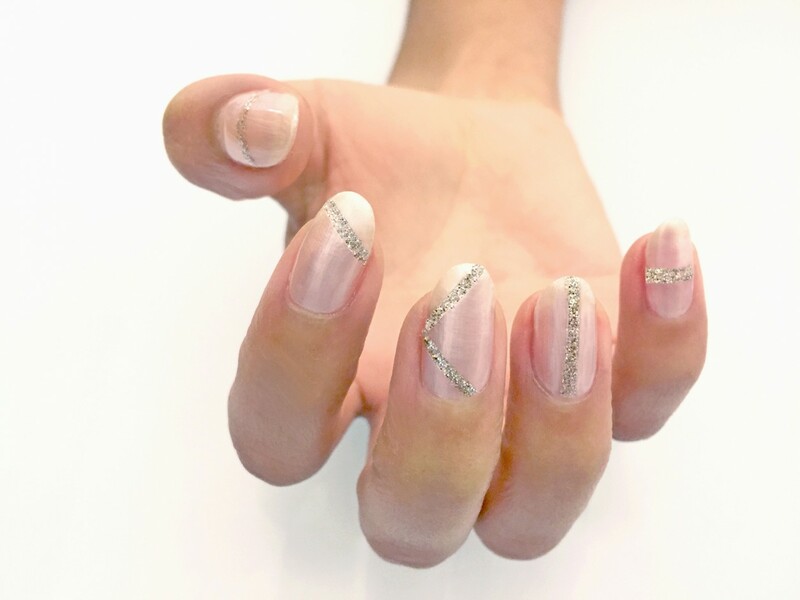 To make your holiday nail-art look last as long as possible, check out these must-read tips.